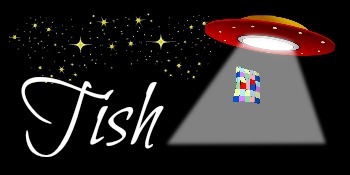 Welcome to episode 15 of the UFO Busting Party. I feel like this is the Quilty Health Class addition. Today class, we are going to split up into two groups, the boys in one room and the girls in another, and talk about how UFO's are conceived. Oh, wait. We don't have to do that. But this UFO did start out with a husband and a wife. Earlier this fall, David gifted me this fat quarter bundle after a work trip to North Carolina. He wanted to challenge me a bit. I do love the fabrics neatly wrapped in this FQ tulip, but I'll be honest, it's probably not a color palette I would choose. He knew that. So since November it has sat. Until Yvonne at Quilting Jetgirl posted a picture of an adorable baby quilt version of her Bundle Buster Pattern made with fat quarters she picked from Bernie at Needle and Foot's Etsy shop. The light bulb in my head lit up! My fat quarter bundle...it would be perfect. So last weekend, I spent a couple hours in labor, well cutting and stitching, and gave birth to this retro fun baby quilt. And that, boys and girls, is where UFO's come from and how they are made; because now it must wait for its turn to be quilted. If you have any questions you should probably ask your parents when you get home. Class dismissed. Quilting is well underway on the pinwheel quilt. The pattern is a free pattern, Pinwheels in the Park, at Sew Mama Sew. I think if I could block 3 hours of uninterrupted time I could have this one finished...just not sure if that will happen this weekend. Just keep stitching. Why might this not happen, you ask? Because I sense a disturbance in the quilting force. I have a feeling the fabrics above will provide a distraction as I test my pattern for the lap size quilt of the Fire Burst Mystery Quilt. Look, I have the start of a QAL button. I'm still working out some details, but hope to have the page up and going soon. Stay tuned. I haven't been the only one in quilty labor. Julie at Pink Doxies has been too and, boy, was it a big one. I'm not sure the weight but it measures in at 92" x 93" and she has named it Hapi Quilt. I kind of feel like her Lamaze couch. Behind the scenes, she texted with me as she auditioned fabrics, tested ideas and gave birth to this quilt. My job, to remind her to breath, of course. 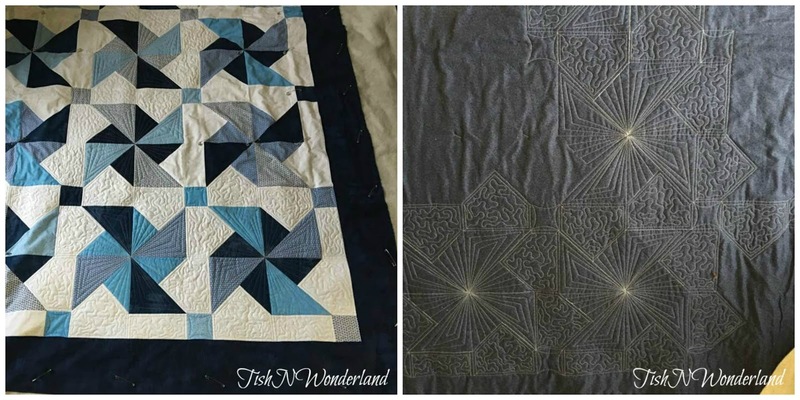 I'm forever in love with Julie's design process and the way her quilts come together. If you missed it, please hop over to Pink Doxies and read about it here. Wonder if I'll get to be the quilt Godmother? Gail at Quilting Gail is celebrating, or I hope she is, her recent finish and what I would consider a pivotal quilting moment. She is half way to reaching her PhD goal. We aren't even half way through the year! Look at all those fabulous feathers and all the fun continuous curves in this classic red and white quilt. If you haven't already, make sure you congratulate Gail on her finish and celebrate her reaching her half way mark. Before we find out what everyone has been up to this week, I just wanted to remind you that the 2018 New Quilt Bloggers Blog Hop will be officially kicking off this Monday, April 16th. Make sure you come back so I can introduce you to two of my HST's. We know how much I love acronyms, so I absolutely love the name they came up with for their hive, Happy Stitching Team. 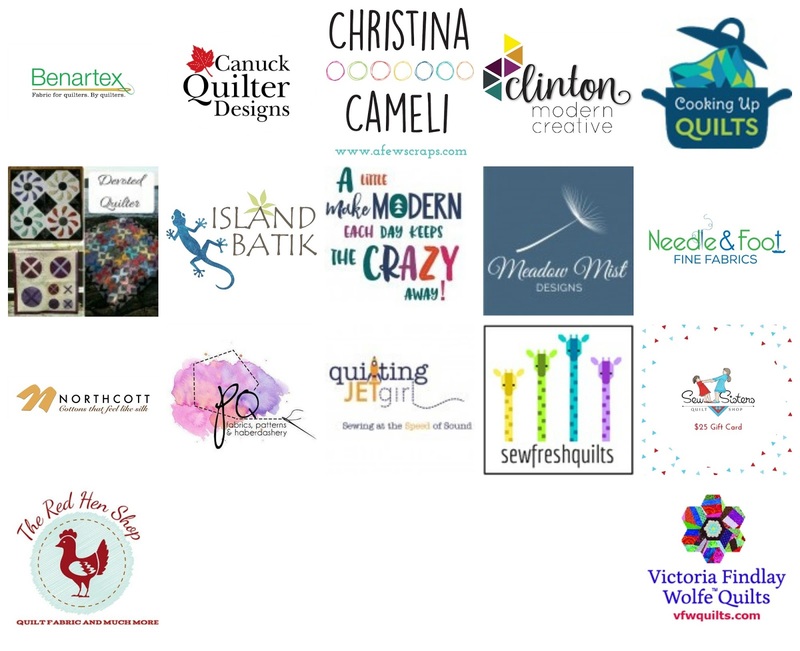 On top of meeting new quilty friends, the co-hosts, Beth (Cooking Up Quilts), Jen (Dizzy Quilter), Sandra (mmm!quilts) and myself, will provide you with opportunities to win prizes from our 17 (yes I said seventeen) very generous sponsors. Each week of the hop all 17 will be giving away awesome prizes. Trust me, you do not want to miss this. Now on to what you've been up to this week. Did you go into quilting labor last week? Are you breathing through the pains of trying to give birth to a finished quilt or enjoying the process of making a UFO...wink, wink? What ever the case link up below and tell us all about it. I want to know where is the midwife or obstetrician in all this effort? Love the colours of all your fabrics. You are making great progress! Thanks for making me smile this morning! Working with fabric that is not our favorite or favorite colors is a good way to challenge ourself! I would say you made lemonade out of lemons with your bundle! Love the Fireburst button you made! You sure HAVE been a busy beaver this past few days. 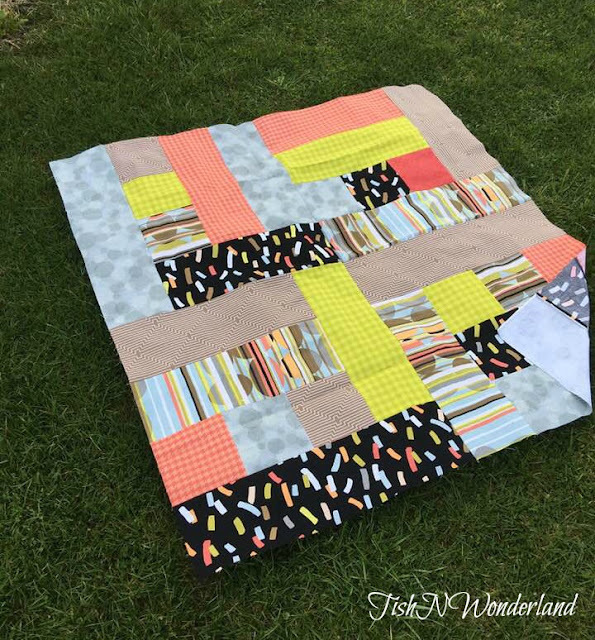 Saw Julie's quilt coming together on IG and on her blog. So cool that all three of us have BEEN in her space where it's on her design wall, and the floor too lol... :-) Hoping to get a UFO or two off this Q2 list and onto a bed or couch! There's so much goodness in this post. Love the baby quilt. I clearly missed the pinwheel quilt. I've downloaded the pattern. It looks fun. And no fair on the teaser for your QAL. I want to choose fabrics now. The suspense is killing me now that I've seen your fabric choices. Maybe I'll just go buy a bunch of fabric tomorrow -- my LQS is having 34% off for their 34th birthday. 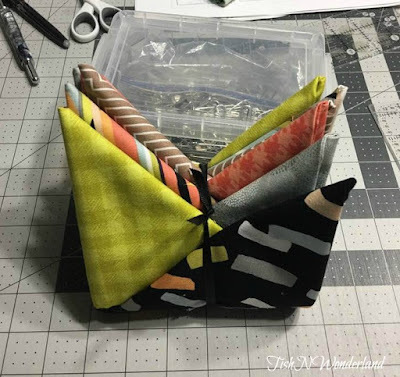 Drooling over your pinwheel quilting here! And wow, there were some gorgeous quilts from the last link up, weren't there? I admit that I started Sandra's next QAL and have my Plus Playtime mostly pieced. I need a little mystery to slow me down! After the flimsy is done it will promptly become a UFO, sigh. Thanks for the chuckles! 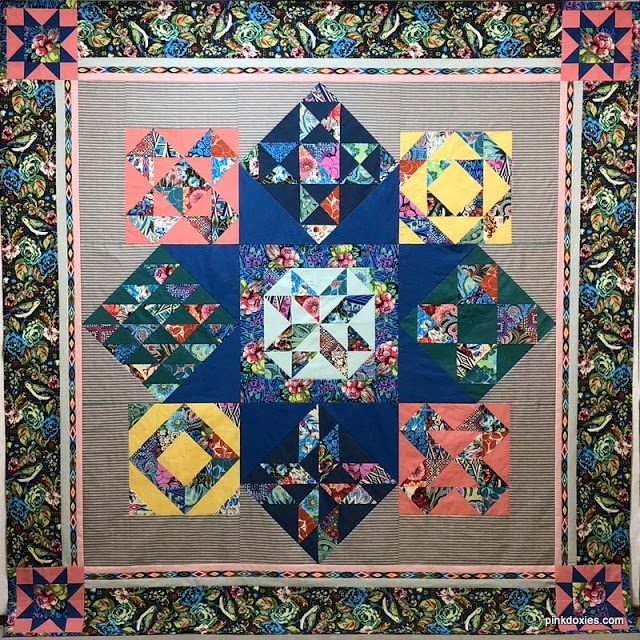 Love the quilting in the pinwheels quilt! 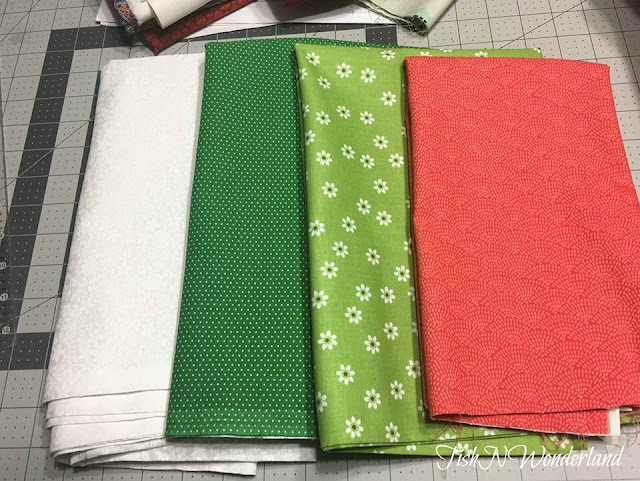 Those fireworks fabrics make my heart sing, love the greens. I just LOVE your Pinwheels in the Park! 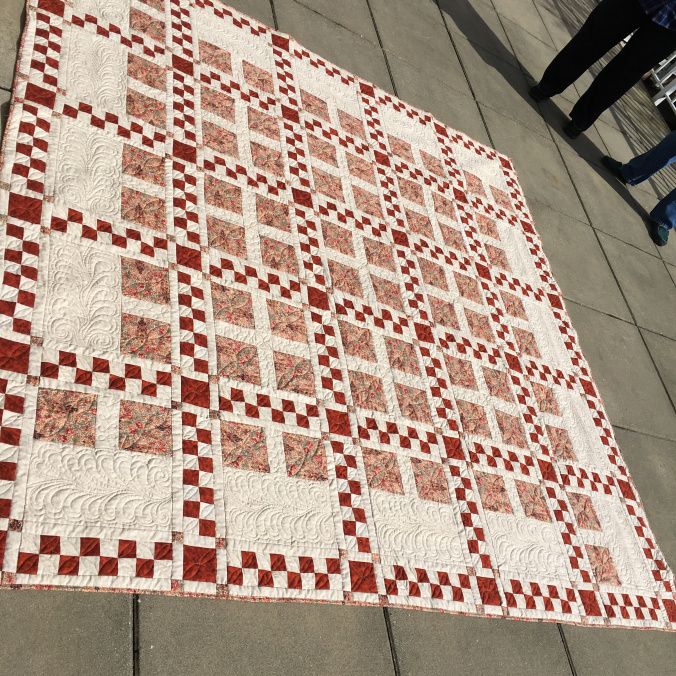 The quilting looks fabulous. I had this tutorial scheduled for next Saturday, and I am adding a link back to your post as another option for folks to see. Great timing! I love the button and name your hive picked! Very clever! Oh my gosh, I'm behind on reading your posts. Things around here have been a little upside down with the mammoth storm that is hitting us! It is giving me extra time to write (ahem) my post for the blog hop and to catch up on comments to my bloggy friends! Your little bundle of joy is very cute! I have some of that fabric incubating in my stash. Hehe. Heading over to your post on the mystery QAL! Wow, Tish! You have a lot going on! I am looking forward to meeting everybody in the New Bloggers Blog Hop! Your post about UFO's a while back motivated me to make a list of mine and my goal this year was to get at least two of the projects on that list done. I've already met my goal! I guess I didn't set the bar high enough. But seriously though, before this year, I had never made more than one quilt in a year so I didn't have the confidence I could do it. Yes of course you needed to use the fabrics your DH gave you-just so he will keep doing so! Me not so much work getting done, unless you call shopping work, hahaha. In my world the books would be nothing but pictures...of quilting. I'm a quilter who likes to live on the edge. Sometimes I run with scissors and stitch outside the lines. I hope you'll join me on my quilting adventure, because we are all mad about quilting here. The Beginning of a Mystery?